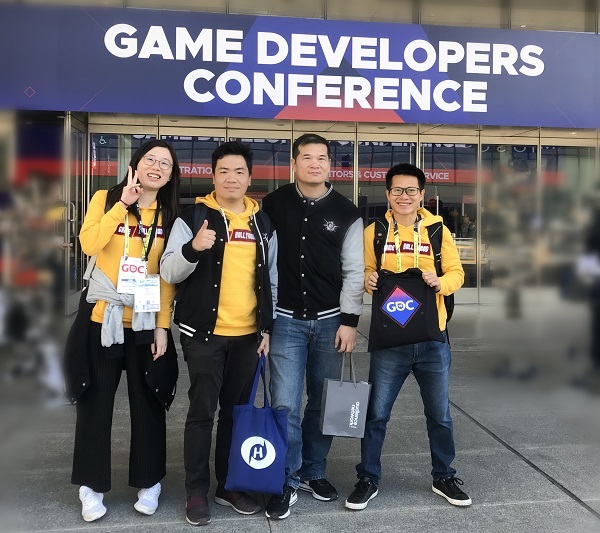 The two world's largest international events for video game developers, Game Connection America (GCA) and Game Developers Conference (GDC), were held in San Fransisco, CA, in March, 2019. The thousands of attendees of GDC and GCA, including game developers, service providers and publishers, got together to share new technologies and products, discuss new trends, and bring up new questions for the whole industry. After a marvelous GDC 2018, Game Hollywood's COO and CTO joined our business and operations teams and visited GDC 2019. Through GDC 2019, the company met with some long-term partners and game industry leaders like Facebook, Google and Unity, and introduced our most popular games to other attendees. Furthermore, Dragon Awaken, Robot Tactics and Eternal Fury 2 as the most popular video games of Game Hollywood were highly praised by the attendees and other international publishers, opening doors to publish the games in other regions. The company representatives joined several talks where they learnt the latest game industry trends and had meetings with game industry leaders in order to improve the company, better serve our players and work better with our international partners.